Nowadays many phone makers have started launching Phones with 6GB of RAM. In this post, Let's find out 6GB RAM Phone to buy in India under Rs 20,000. Cool Play 6 features a 5.5-inch (1920 x 1080 pixels) Full HD IPS in-cell display powered by 1.9GHz Octa-Core Snapdragon 653 Processor. 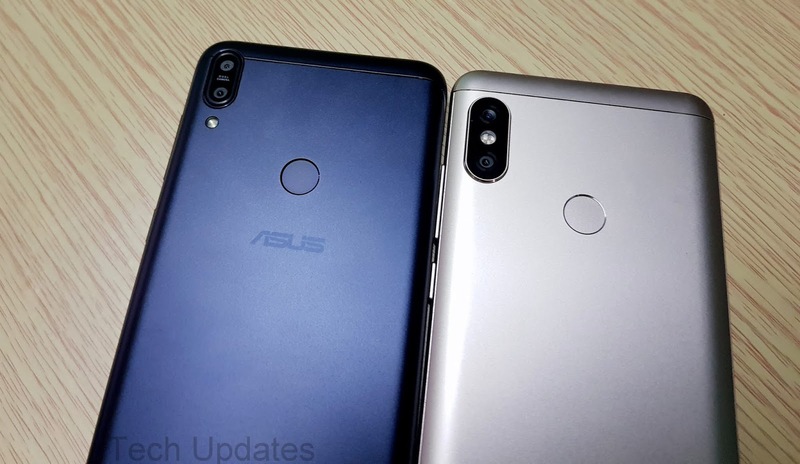 It has 6GB of RAM and 64GB of internal storage, On Camera, it has a 13MP dual rear camera with dual-tone LED flash, f/2.0 aperture, PDAF and 8MP front camera. Packed with a 4060mAh Battery. Dual SIM device runs on Android Nouga. Camera performance is similar to Cool 1. priced at Rs 14,999. Realme 1 has a 6-inch Full HD+ Display powered by MediaTek Helio P60 Processor with 6GB RAM, 128GB Storage, It has support for Dedicated MicroSD slot and Dual VoLTE.Dual SIM device runs on ColorOS 5.0 based on Android 8.1 (Oreo). On Camera, it has a 13-megapixel rear camera with LED flash and 8-megapixel front camera. It doesn’t have a fingerprint sensor but has face unlock that can unlock the phone in less than 0.1 seconds. Packed with a 3410mAh battery. On camera, it has a 16MP rear camera with LED Flash, PDAF, 1.12μm pixel size, secondary 5MP camera and 16MP Front Camera. Packed with a 5000mAh battery. Xiaomi Redmi Note 5 Pro has a 5.99-inch FHD+ 18:9 Display powered by Qualcomm Snapdragon 636 Processor with three RAM and storage options 4GB RAM, 64GB Storage,6GB RAM, 64GB Storage. On Camera, it has a Dual Rear 12 MP IMX 486 sensor +5MP color sensor to capture depth information, there is also EIS for videos and 20MP front camera.packed with a 4000mAh Battery. Infinix Zero 5 sports a 5.98-inch 1080p display powered by MediaTek Helio P25 Oct-Core SoC with 6GB of RAM. Dual SIM device runs Android 7.0 (Nougat), features a Dual 12-megapixel+ 13-megapixel secondary Rear camera with a telephoto lens offering 2x optical zoom and portrait mode. It also has a 16-megapixel front-facing camera with LED flash. Packed with a 4350mAh battery The Infinix Zero 5 comes with 64GB of internal storage and there is Zero 5 Pro that comes with 128GB internal storage. Oppo F3 Plus has a Metal body and Fingerprint Scanner on Home button. It features a 6-inch (1080 x 1920 pixels) Full HD IPS display powered by powered Snapdragon 653 octa-core processor coupled with 6GB of RAM and 64GB of internal storage. It has a 16-megapixel Sony IMX398 sensor and Dual Selfie camera one 16-megapixel 1/3.1-inch sensor and one 8-megapixel sensor. Packed with a 4000mAh battery. Nubia Z17 mini Limited Edtion launched for Rs 21,499. Nubia Z17 mini feature a 5.2-inch 1080p 2.5D curved glass display powered by an Octa-Core Snapdragon 653 processor with 6GB of RAM and 128GB of internal storage. has a unibody metal design. It has a dual 13-megapixel rear camera, one with monochrome lens and the other one with RGB lens, offering crisp shots.also has a 16-megapixel front-facing camera with an 80-degree wide-angle lens. Packed with a 2950mAh battery with fast charging. Moto X4 features a 5.2-inch 1080p Display powered by an Octa-Core Snapdragon 630 Mobile Platform with 6GB RAM with 64GB storage which is further expandable to 2 TB with microSD.On Camera, It has dual 12MP and 8MP rear cameras to take images with blurred background, portraits, selective black and white an option to change the background. It has a 16MP front camera.It has IP68 certification for water resistance and runs on Android 8.0 Oreo. Packed with a 3,000 mAh battery.